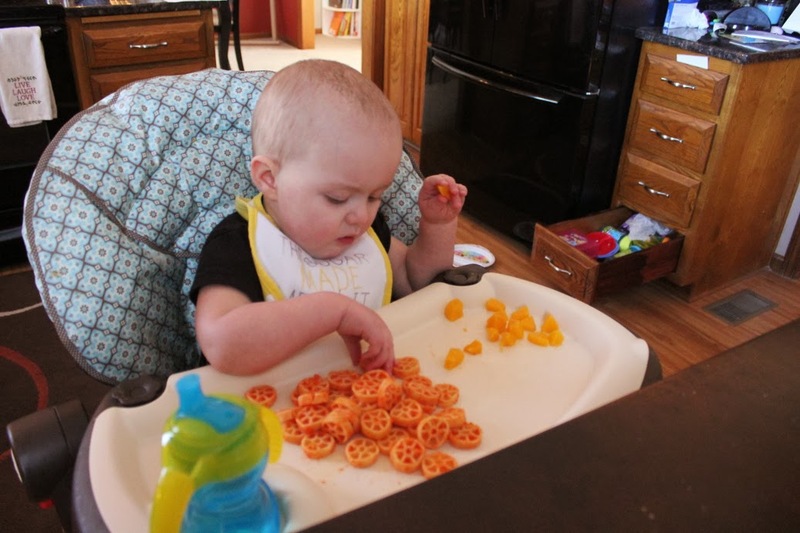 I am constantly looking for new lunch ideas for Addison. I like things that I can make in the beginning of the week and just have to reheat through the week. Things that Addison loves and things that are easy to put together. I want to have a variety of different lunch ideas so we aren't just eating the same things. I like her trying a variety of different foods and not being a picky eater. 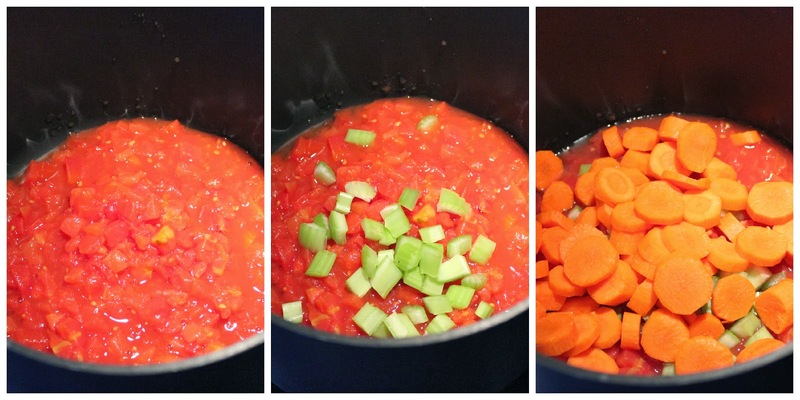 Chop carrots and celery. 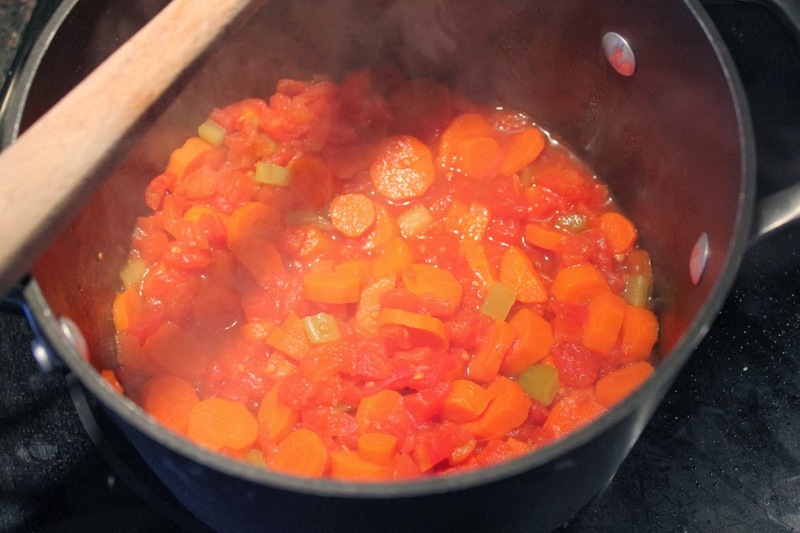 Place tomatoes, celery and carrots in a pot and boil for about 10-15 minutes. 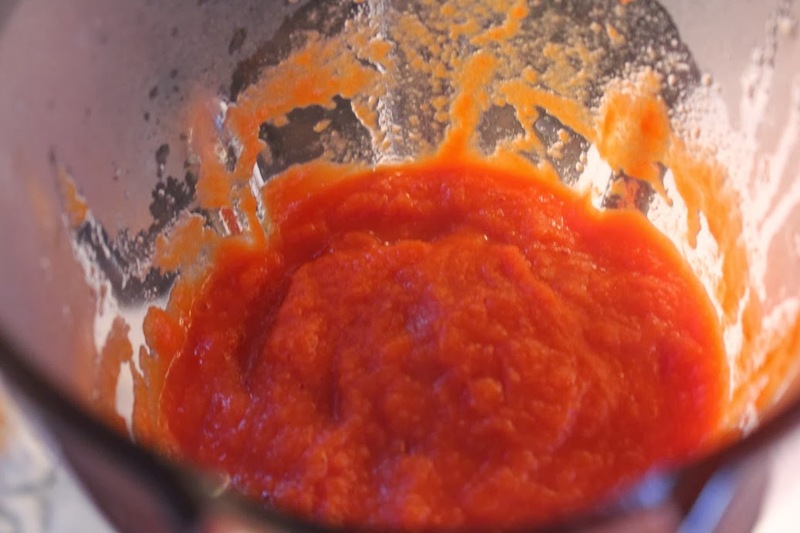 Once veggies are soft, puree in a blender until smooth (Optional: Juice your carrots and celery if you have a juicer to make a sauce that is more runny, similar to spaghettios.) Boil noodles according to package directions. Combine. Season with salt, pepper, and Parmesan cheese. When I made this meal, I split the sauce, freezing half and using the other half. 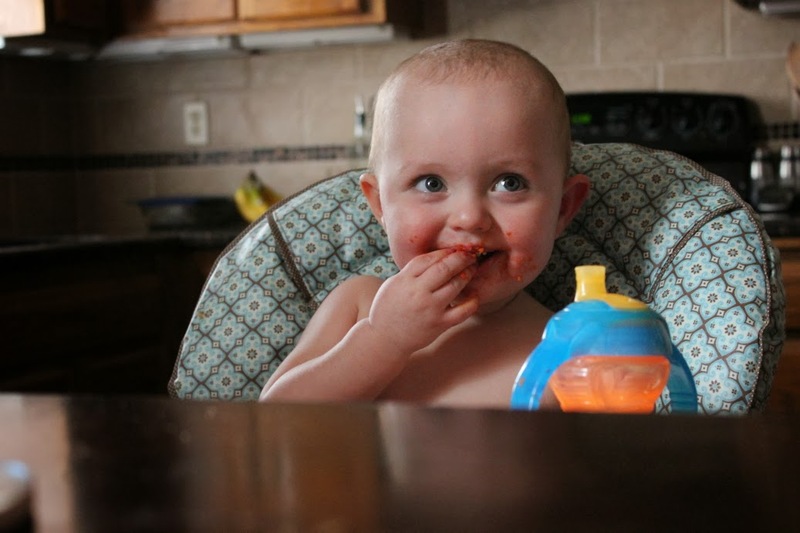 Addison wasn't sure about this meal. She didn't want anything to do with it. She didn't want to touch it. She just looked at me like I was crazy then tried to clear her plate off without eating it all by knocking it into her lap. Clearly not big on it. But I wasn't about to give up, especially since we still had some sauce frozen away. 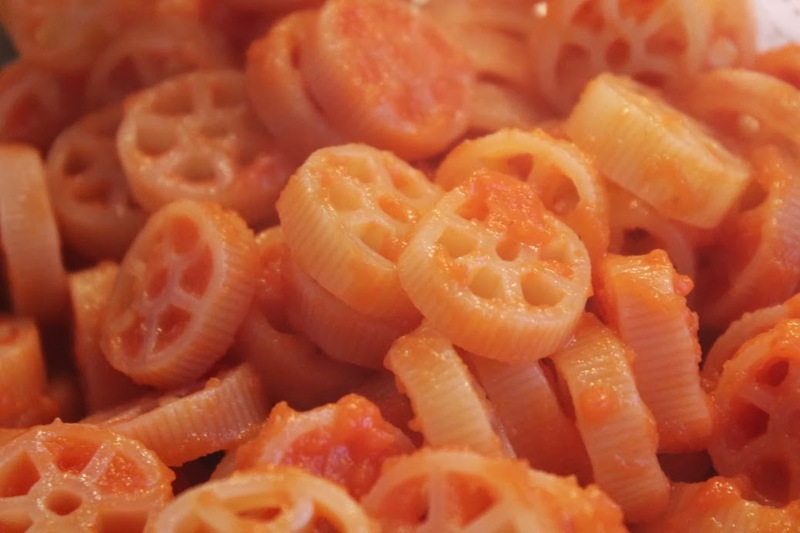 I decided that I would try using it on the elbow macaroni that she has come to love and see if that went over any better. Turns out it did. She loved it. 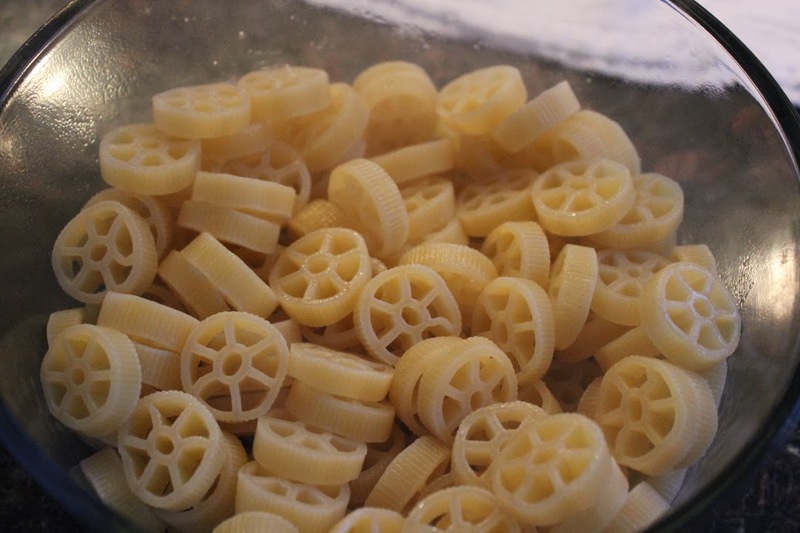 She had no problem eating it with it on this type of pasta. She just wasn't fond of the wagon wheels I guess. So score another one for the mama. She gobbles this one up happily, which is what every mother likes to see. 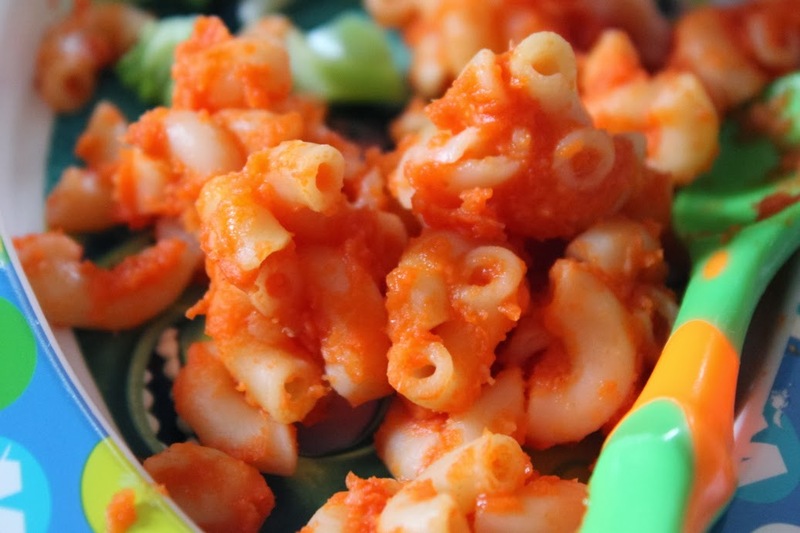 It has definitely made it into our favorites recipes for the kiddo. 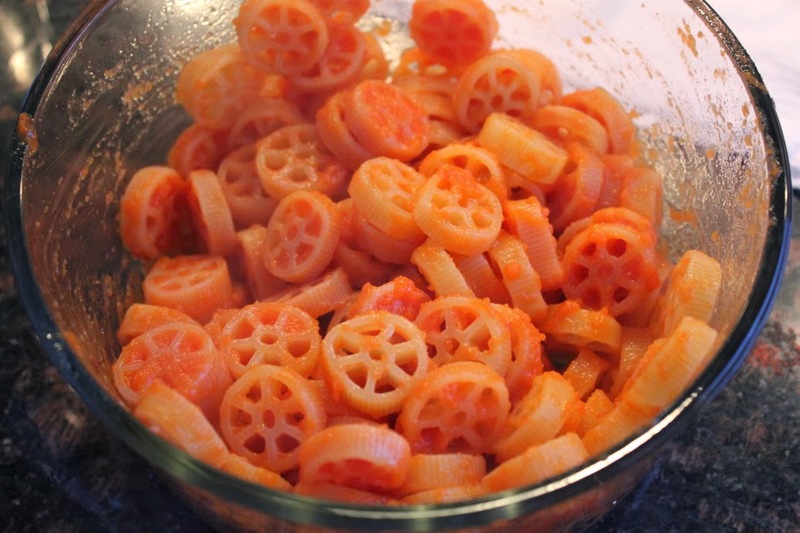 It's healthier because of the extra veggies all packed into the sauce and super easy to make. I love lunches like these. 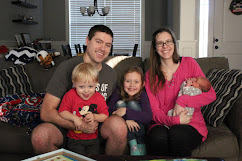 She gets her fill and they are healthy and easy to put together.